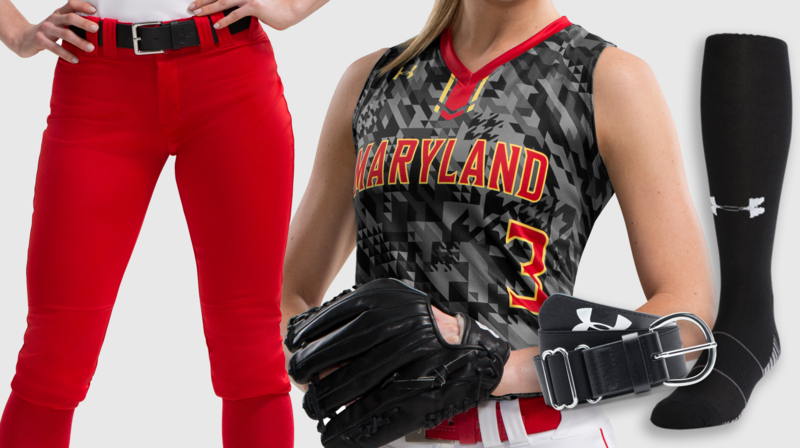 Armourfuse sublimated sleeveless Jersey includes team name, numbers and logos. Many different patterns to choose from. 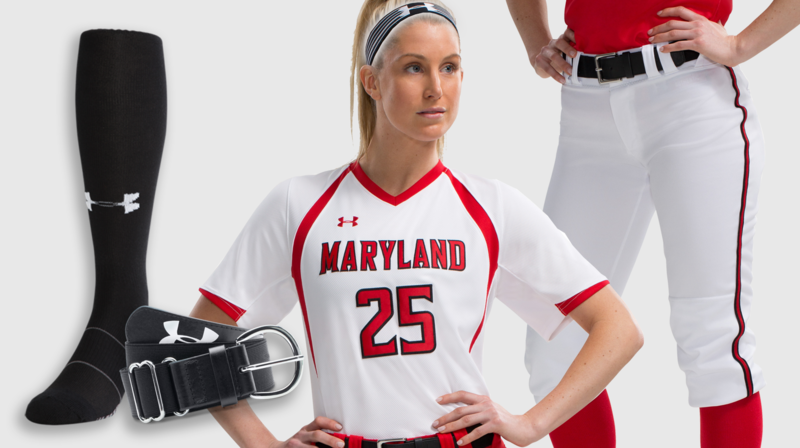 Armourfuse Softball Pant. 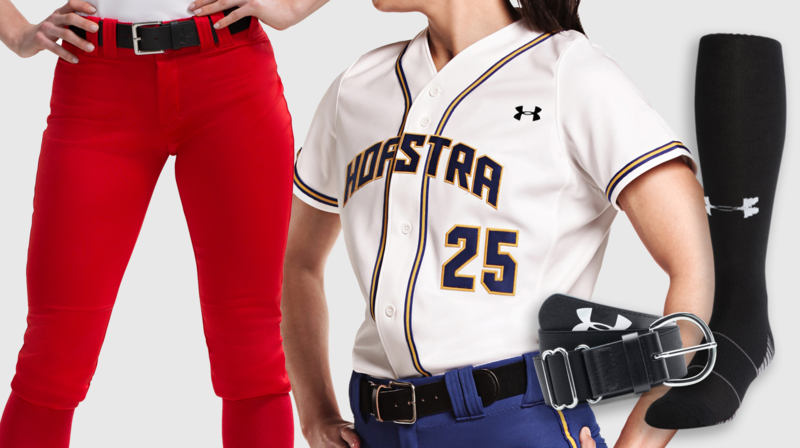 UA Over -The -Calf socks and women's softball belt also included in package.